Let’s dive into the Oracle of the Angels! The Oracle of the Angels is a 44-card deck both written and illustrated by Mario Duguay. This deck has an incredible angelic energy and for me, the most noteworthy thing about it is the absolutely vibrant artwork! Each of the 44 card images really shines with light and angelic energy, and every illustration is rich with detail and symbolism. I LOVE how detailed and symbolic the card images are because this makes the deck perfect to use for completing Intuitive Angel Card Readings without looking up the cards meaning in the guidebook… Which is how I prefer to read Angel Cards. 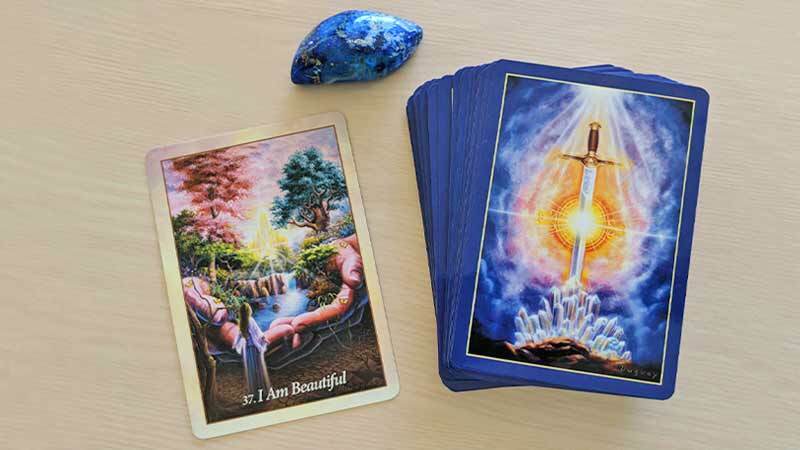 These cards can become a tremendous ally for tuning right into the divine guidance, love and profound wisdom you have access to within! 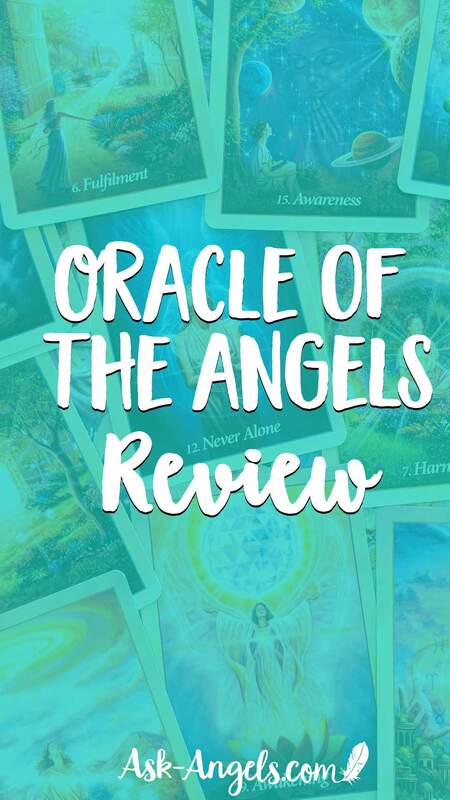 Oracle of the Angels Video Review! The Oracle of the Angels comes neatly packaged in a small cardboard box with a small accompanying guidebook. The guidebook covers basic information on how to use the cards and it has some interesting oracle card spreads along with a short description of meaning for each of the 44 cards. With each of the short (3-4 sentence) card descriptions, the guidebook also reveals a supportive affirmation to help you open the door to receiving greater love and divine wisdom. It's not that they're wrong or anything like that… They just didn't really connect with me in a deep way. However, because the artwork is so profoundly revealing, with deep symbolic imagery, and beautiful little details… I don’t mind the limitations of the guidebook at all, and I am more than happy to read the cards based on intuition alone. As I mentioned above, I favor decks that can be read on intuition without needing to glance at the guidebook, and this one certainly does that. 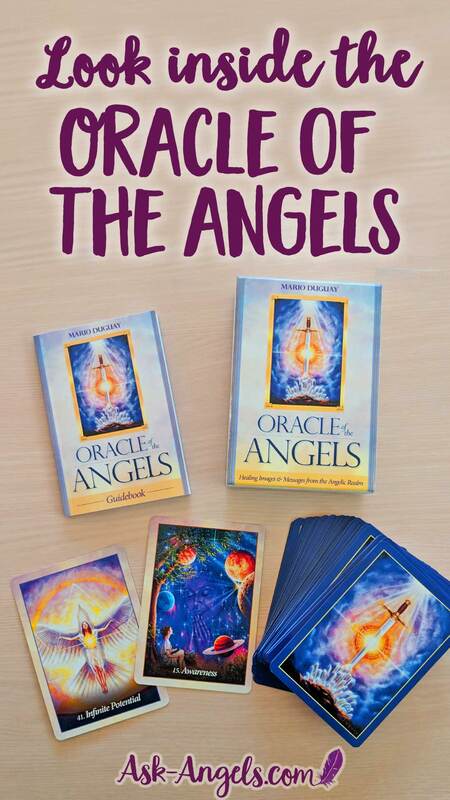 Learn more about how to open to reading Angel Cards Intuitively for yourself here! 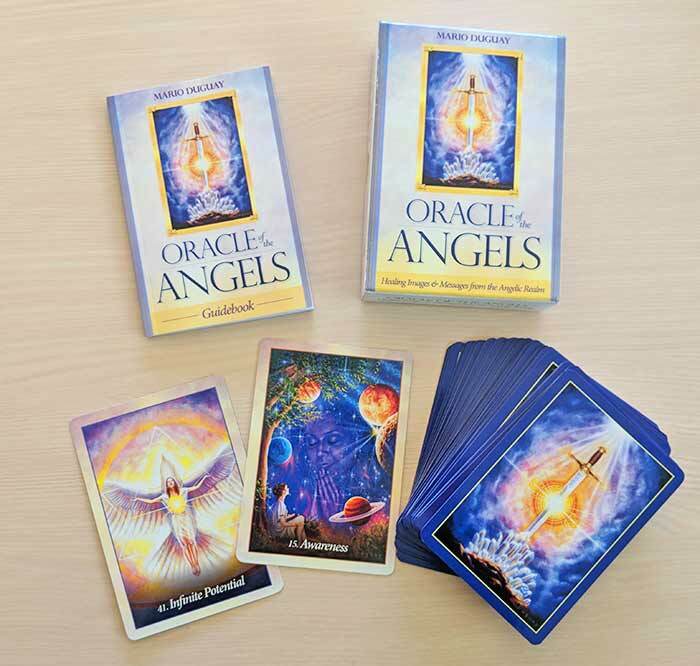 That being said, if you are a complete beginner when it comes to opening your intuition and reading Angel Cards, the guidebook does offer the short explanation which can serve as an additional intuitive trigger above and beyond the symbolic and detailed artwork and the card title printed each card. This is the perfect deck for learning to receive deeper intuitive guidance, insights and healing directly from Spirit. 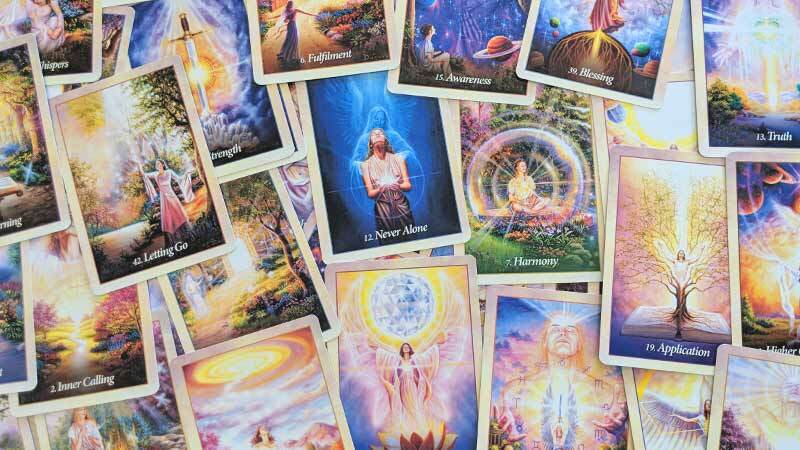 This deck really is uplifting, light-filled, and angelic in every sense. Is This A Good Oracle Card Deck For You? 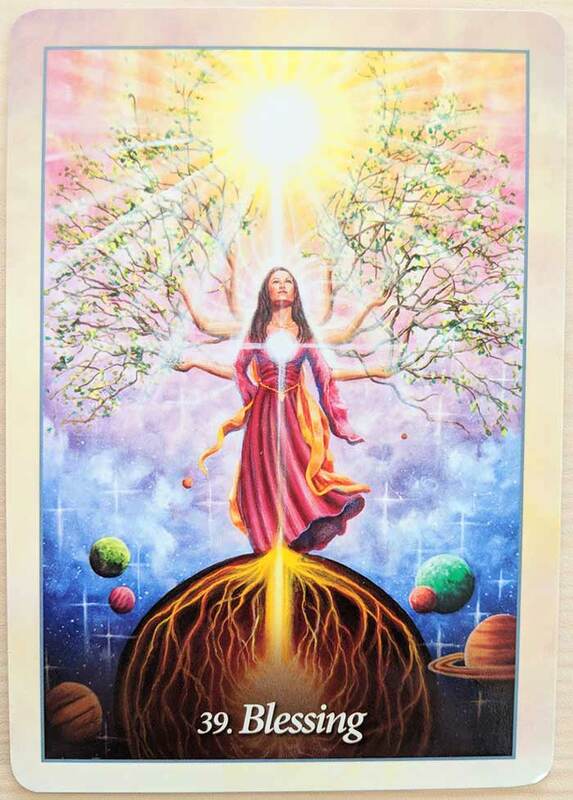 When it comes to Oracle Cards… There are some that just have a special spark of magic, light and angelic energy… And for me, this is absolutely one of those decks! Be sure to get the version by Mario Duguay linked to above, as there is another deck with this same title. P.S. Have you experienced this deck? Comment below and let me know what you think!